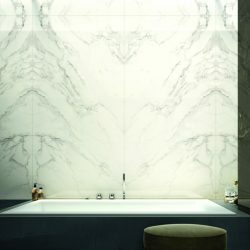 After seeing the first samples of the Anima Select marble-effect porcelain tiles, we knew that they deserved a whole blog space to themselves. That was a while ago now but we’re still just as excited. 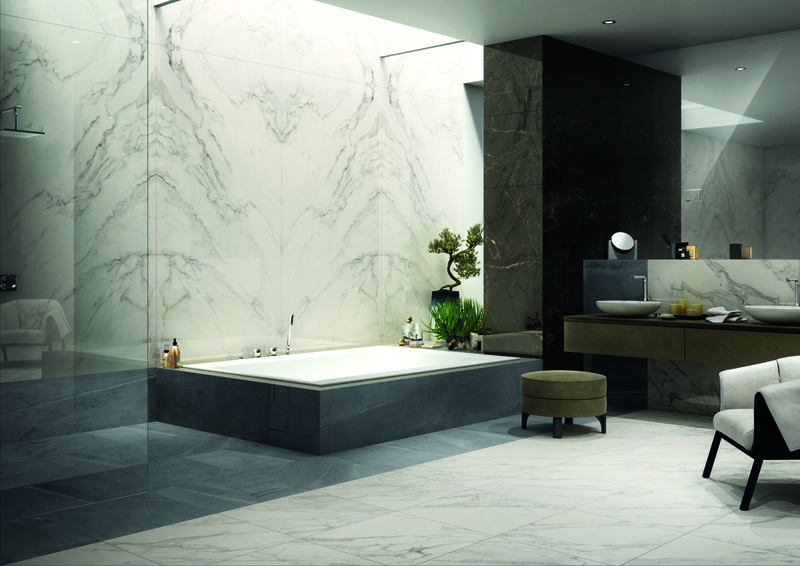 Inspired by the natural beauty of marble, Anima Select marble effect tiles are our very latest range of this type of tile. We’ve got four new tones that are all very different but equally beautiful. If you can’t decide which tone to go for, we recommend mixing two for an innovative feel that looks especially great in more modern environments. 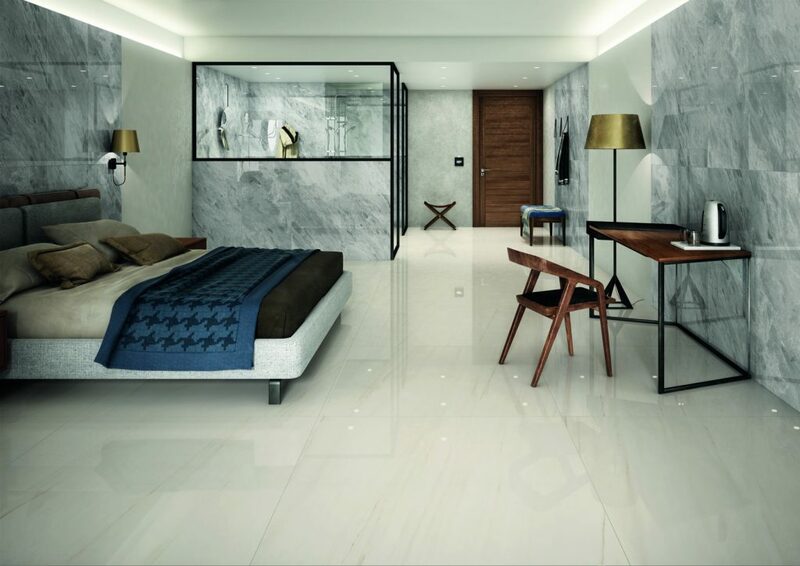 Marble is a beautiful stone that suits both residential and commercial properties. However, it doesn’t come without its issues. 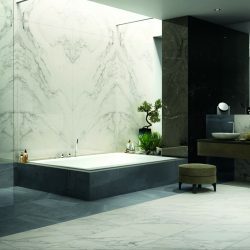 Although a very tough and durable stone, marble is also quite soft and can easily lose it’s shine over time, especially if it is walked on a lot. 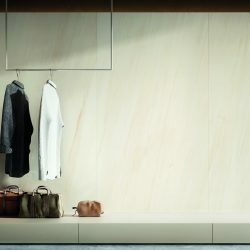 To make the sheen last longer, it’s necessary to constantly remove the dust from the surface, as it’s this dust that acts a bit like sandpaper against the marble, when people walk over it. 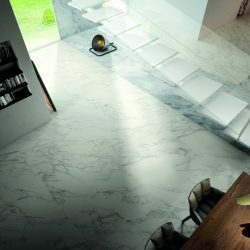 This means that ideally, marble needs to be dusted on a very regular basis, otherwise costly repair may be necessary to bring back the shine it had when it was first installed. 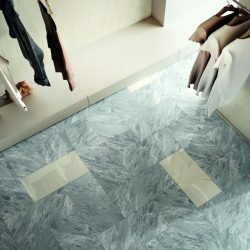 Marble-effect tiles, on the other hand, do not lose their shine as quickly as marble and require much less maintenance. 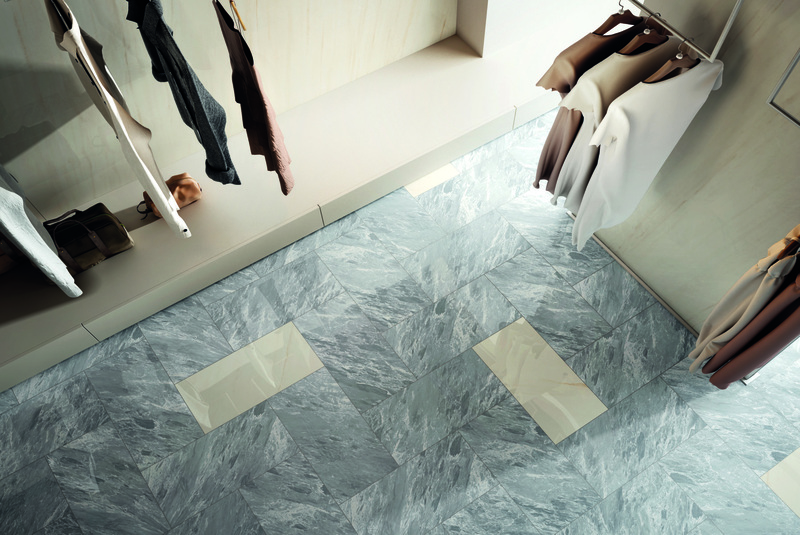 This makes them ideal for areas of high foot fall, where marble would be prohibitive because of maintenance costs. 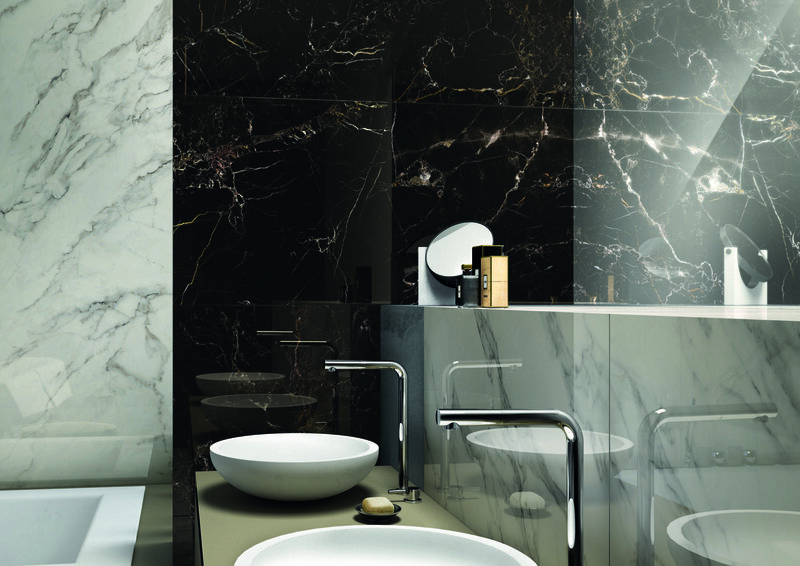 When it comes to keeping marble clean, it’s important not to use cleaners that contain acids. 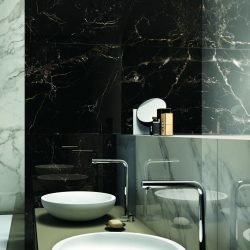 Many bathroom and kitchen cleaners can damage marble, meaning that marble is often too impractical to install in these areas. Marble-effect tiles are resilient to most cleaning products, so are perfect if you want the stunning stone look in your kitchen or bathroom but don’t want the constant worry of having to be very aware what you put (or spill) onto a marble surface. 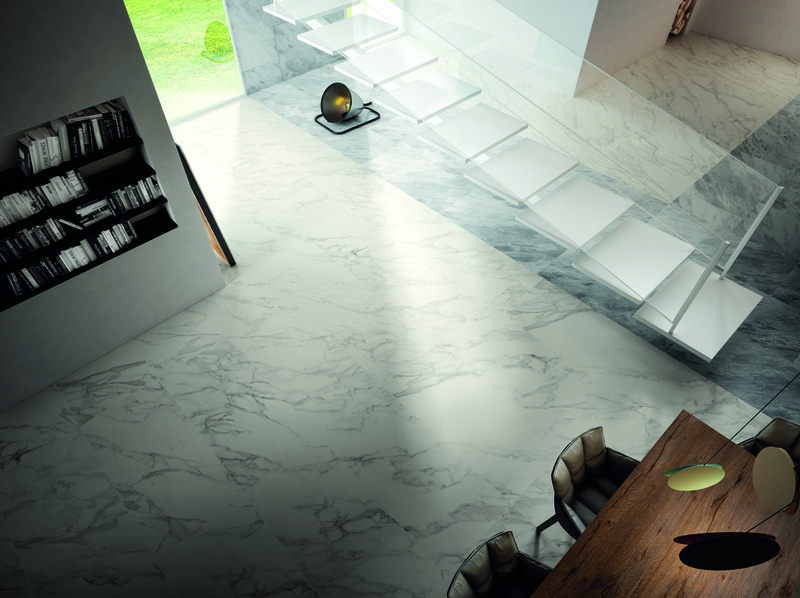 Additionally, many foods and drinks can stain marble, so think twice before putting it in a family kitchen. If pressure is placed on a very small area of marble, it can cause it to mark. This often happens when people walk over marble with stiletto heels. 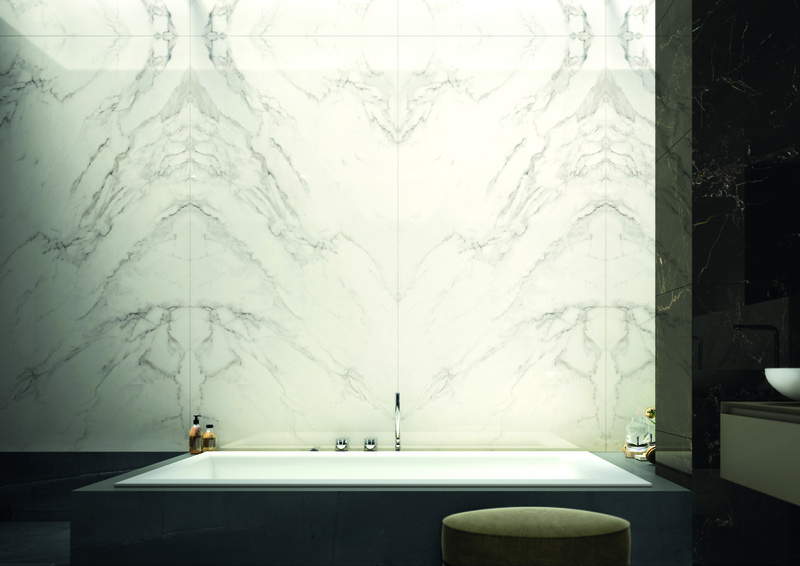 Marble-effect tiles should not mark as easily as marble, meaning that they can look newer and smarter for longer than natural stone. Our marble-effect tiles are available in book match and 119.5 x 239 cm extra large porcelain tiles for the very first time and are suitable for both floor and wall applications. 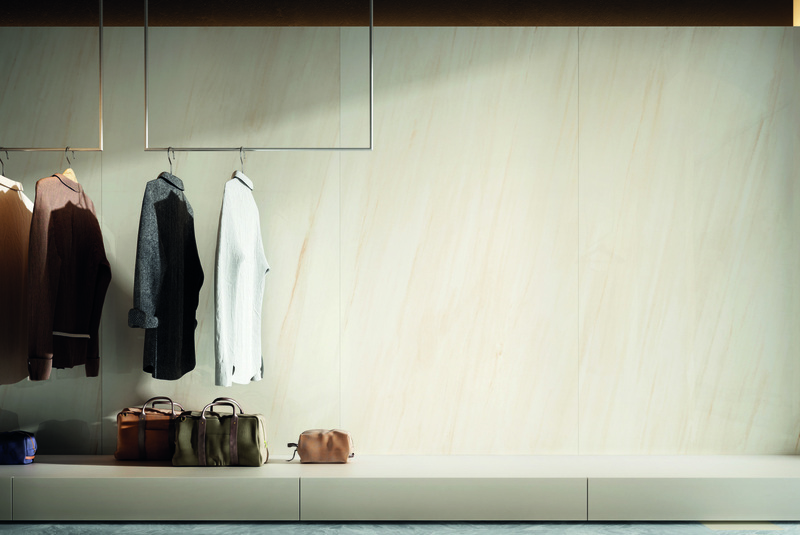 Get in touch today to find out more about how you could use Anima Select marble-effect porcelain stoneware in your next project.